Just ask those of us who grew up here, left to learn about the world – gaining new ideas along the way – and returned to get involved and help improve our community for the next generation. Those of us who grew up here understand firsthand the uniqueness of our tremendous community. We competed on the football field at A.C. Steere Park, developed lifelong friendships at the Boy Scout hut in Betty Virginia Park, learned to ski on Cross Lake, and learned about rivalries on Friday nights in the fall at Lee Hedges Stadium. Ready or not, those of us in our 20s and 30s who grew up in Shreveport-Bossier and returned home are ready to take the reins of leadership. More importantly, because of the education we received – both inside and outside of Caddo and Bossier Parish classrooms – we are capable of leading this community. We understand there are systematic challenges in Shreveport-Bossier City that we must overcome in order for our community to reach its full potential. From an aging infrastructure and generational poverty to stagnate wage growth and a real estate market that could use a boost, the challenges that we as a community face are as real as they are vast. The great news, though, is that, as my friend and local small business owner Blake Jackson recently so elegantly stated, the people of this community are its biggest asset. The people of are caring, supportive and competitive. Those of us who grew up here, or have children in schools in this community, understand these traits. We want our children to attend the best schools with the best teachers and to experience the sciences, arts and diverse cultures that will shape their lives. We also want our kids to have opportunities to become athletic stars while learning teamwork and sportsmanship. Most importantly, we want our children to have the foundation they need to succeed through hard work. To build up our community, we must promote the positive opportunities and experiences that exist in northwest Louisiana. We can be a strong community, but we must be willing to work together – Shreveport, Bossier City and surrounding towns must be willing to put aside local differences and work together to make positive changes for us all. Additionally, we must change our attitude and perspective, particularly when we travel to or live in other communities. Instead of talking about the negatives, we must talk about the opportunities. Shreveport-Bossier City has the opportunity to be a community that has three interstate highways coming through; we have two Class I railroad carriers with lines through our region and a port that continues to increase in size and demand as an industrial complex. Couple those strengths with our location in the south-central portion of the United States, and the result is an incredible opportunity to be a transportation and logistical powerhouse. Our community also has the ability to be a leader in military-related private sector jobs. Barksdale Air Force Base brings new, highly trained individuals every year who choose to stay in the region. Additionally, local twoand four-year higher education institutions have development programs to help educate people to fill those positions available in our region. From tech sector jobs at General Dynamics to mechanical positions at Kansas City Southern or Union Pacific Railroad or specialized careers at Benteler Steel and Metro Aviation, our community has gold standard small, medium and large businesses that are investing in our region every day. I am proud to be from Northwest Louisiana, blessed to be a product of Caddo Parish Schools, and honored to have the opportunity to be back home in a community full of tremendous people who, like me, want to make this community a better place for all of the children of this great region. 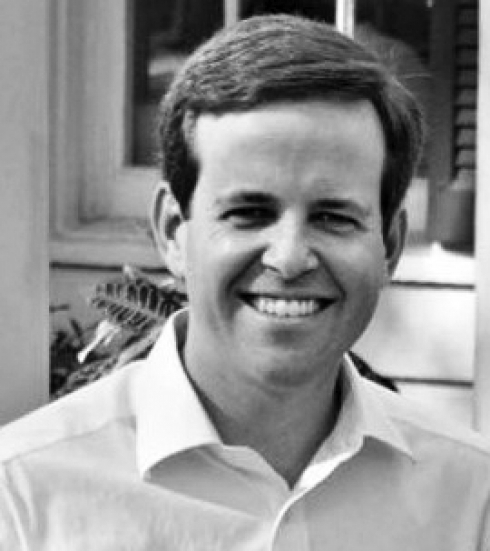 Thomas Pressly is an advocate for his hometowns of Shreveport-Bossier City and is actively involved in numerous professional and community organizations. Pressly returned to Shreveport in 2013 after completing law school at Loyola University in New Orleans. He recently announced his candidacy for Louisiana House of Representatives District 6.